Wassana is finally learning what true freedom looks like. 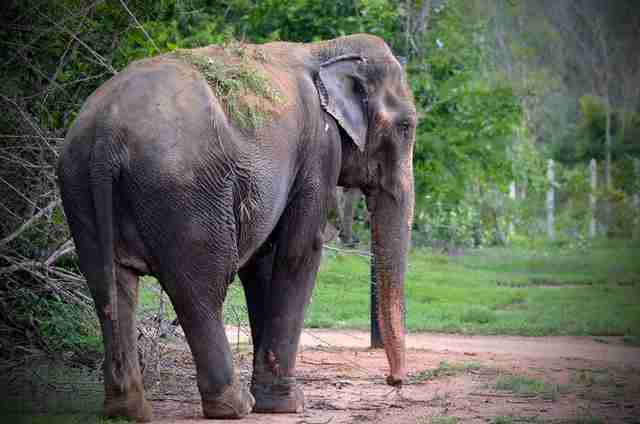 This beautiful 45-year-old Asian elephant more than likely began her life scared and confused. Her rescuers at Wildlife Friends Foundation Thailand (WFFT) believe she was taken from her wild family as a calf, with her family likely killed in the process. 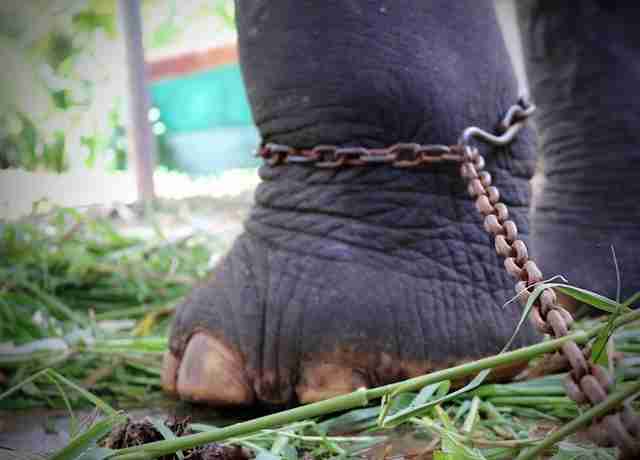 Wassana herself was forced into a life of chained captivity and hard labor. 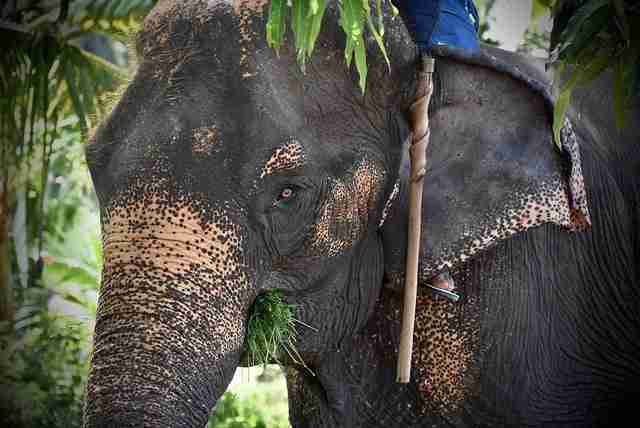 "It is believed that Wassana would have tangibly worked in the logging industry where she was forced to contribute to the destruction of her own habitat through felling and lifting heavy logs up out of the jungle tracks," Lilli Ecmanis, tours and education manager at WFFT, told The Dodo. 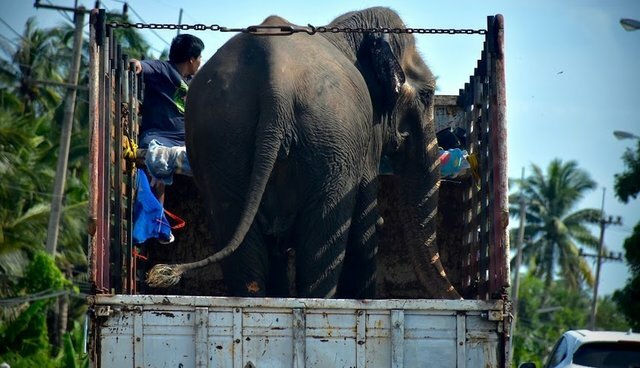 Ecmanis said that after this practice became illegal in the 1980s, however, many of the elephants from this industry ended up working in tourism camps. "Unfortunately, we cannot be certain of Wassana's history as she has had many owners due to being continuously moved around in order to make the most money from her through sales, renting and exploitation in the camps," Ecmanis said, adding that her previous owner bought her from a camp where she had been working for five years. 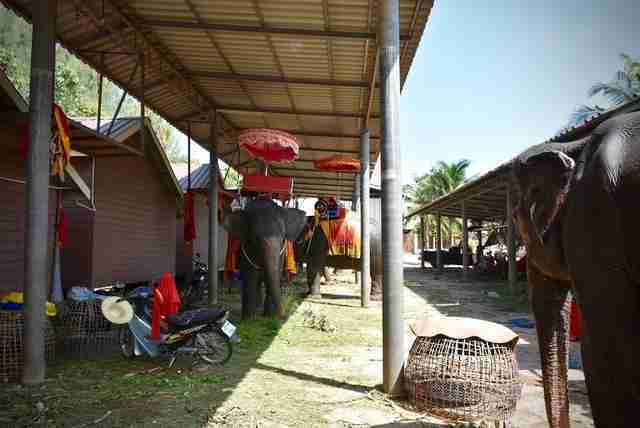 Wassana then worked for another two years with her owner until she was finally saved. 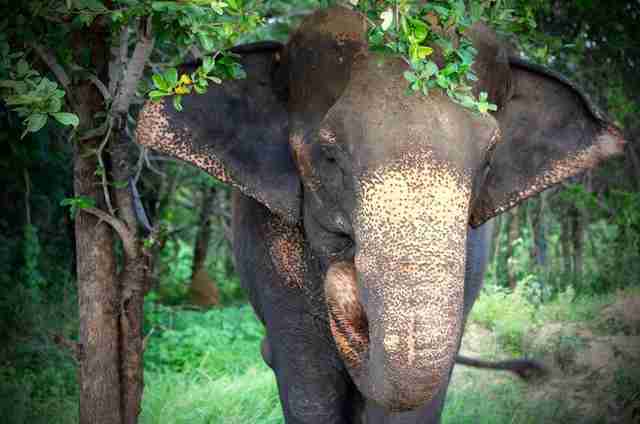 WFFT first learned about Wassana while rescuing another elephant who worked at the same camp as her. 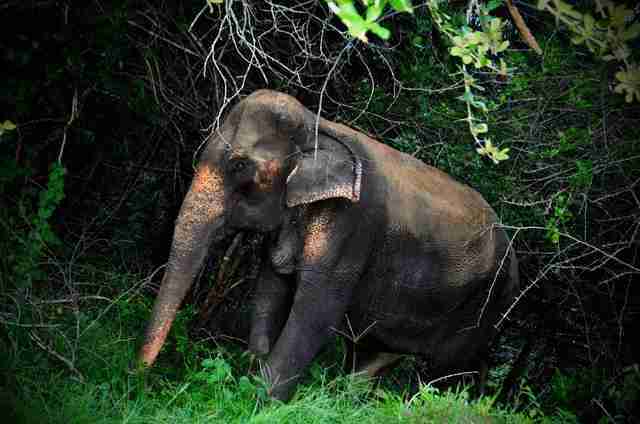 The WFFT team spotted Wassana and noticed she had a large abscess on her leg, which her owner said was an affliction that came and went - yet, he had never taken her to see a veterinarian. 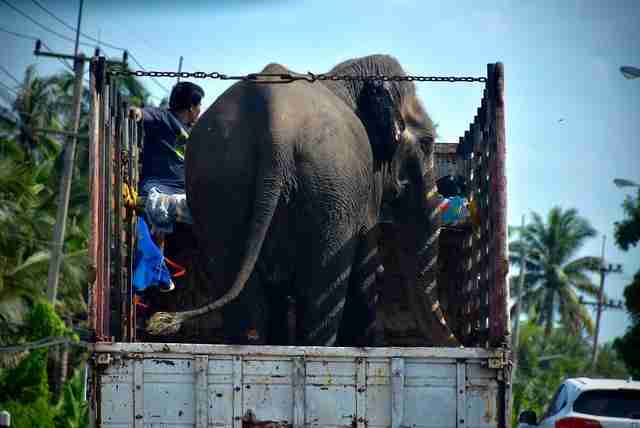 Wassana's owner mentioned that he was looking to retire the elephant, and so the WFFT team decided to make Wassana their next rescue mission. After a successful round of fundraising, WFFT was able to take Wassana away from her tourism camp, located in Thailand's Ratchaburi province, and transport her to her new home just this week, where her journey toward healing could finally begin. In addition to the abscess on her leg, Wassana also has an infection on her forehead from open wounds caused by bullhooks, which are sharp instruments that are often used to strike and control captive elephants. She was also malnourished and dehydrated, and obviously had not been cleaned regularly. "She has not been afraid to continue communicating with the other elephants at the refuge and seems to be inquisitive about the other elephants around her and her new surroundings," Ecmanis said. 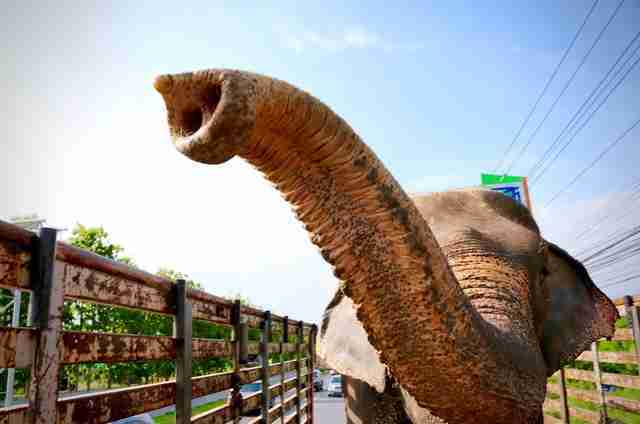 "She is being incredibly friendly with all of the volunteers, staff and other elephants at WFFT." Wassana has even started to take a liking to Jele, another rescued elephant, and the WFFT staff hopes that their friendship will only continue to grow. "Wassana was taken on her first walk this morning to give her the opportunity to explore her new surroundings and move around chain-free to get used to the feeling of freedom," Ecmanis said. "So far she is enjoying the more suitable and delicious diet that we are providing her with and is continuing to eat and drink well." Want to help WFFT continue doing good work for animals in need? Consider making a donation here.